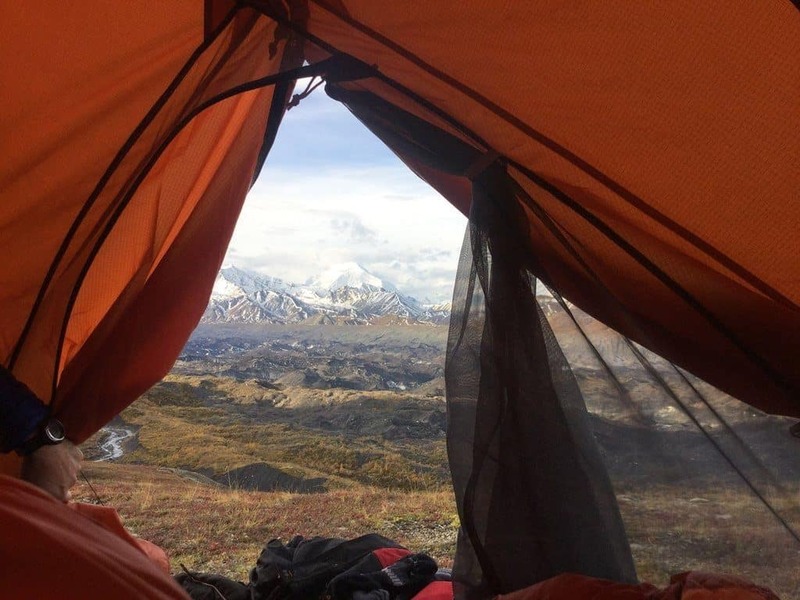 » A Review of the Marmot Ajax 3 Tent: Is It Right For You? A Review of the Marmot Ajax 3 Tent: Is It Right For You? Marmot is an established outdoor gear brand with a focus on producing top quality, high-performance gear and apparel for outdoor enthusiasts. Marmot is particularly well-known for their tents, many of which are favored by beginners and advanced backpackers alike. 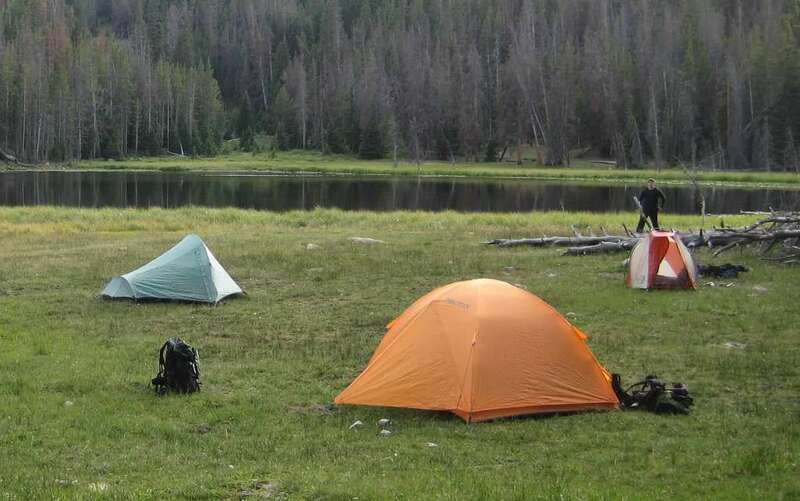 While more advanced backpackers tend to go for light and ultralight style, technical shelters, those that take a more casual view of backpacking tend to lean more towards heavier but more spacious tent options. Although Marmot no longer sells the Ajax line direct from their website, you can still find this model available through retailers. The Ajax 3 tent is particularly popular for backpackers that camp with a partner and need more space than a typical 2-person tent offers. The Ajax 3 still checks out as a simplistic but secure shelter, despite it no longer being manufactured by Marmot. If you want something roomier than a 2P tent but not so heavy as a 4P, the Marmot Ajax 3P could be an ideal fit for your needs, especially considering this shelter’s overall design. Should You Buy the Ajax 3? The Ajax 3 is fairly simple in design, the main reason why it has such high ratings. This tent is fairly basic but in the best way. It is sturdy, comfortable, offers decent space, and isn’t overly feature-rich. Before getting into some of the main advantages of the design of the Ajax 3, here are some of the basics you should know. With the specs and main points of the way, let’s dive into why you might want to try and find an Ajax 3 tent of your own. With so many positive reviews for this Marmot tent, it is obvious it offers some serious advantages to campers. Here are the three main reasons why the Ajax 3 is a great purchase. The Ajax 3 is a great value when considering the overall quality of this tent. It is a truly well-designed model and on par with the type of shelter Marmot is known for. Even at its original retail value is was well worth the money, let alone the discounted price you can find them for now. Being able to purchase this tent for less than $200 really makes it a steal. The Ajax 3 is really designed to last and is quite a versatile size as well. 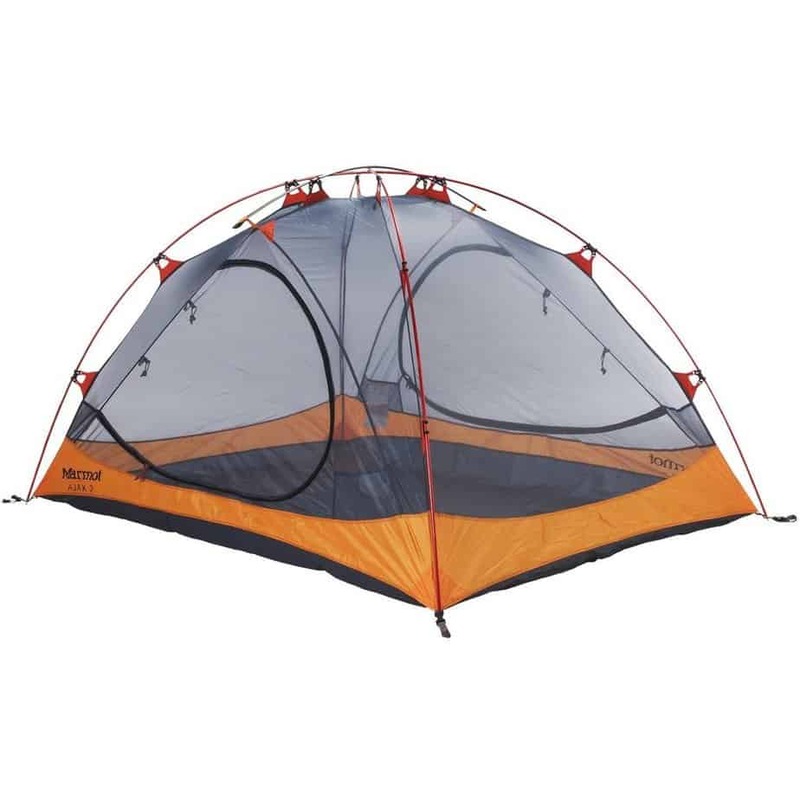 Chances are you’ll get plenty of use from this tent, regardless of your experience level. Even if you’re advanced and focus on UL hiking, this tent is still great to have on hand when doing casual car camps or camping with a partner. The Ajax 3 is comfortable enough for a true trio of adults, but like many backpackers agree, typically 3P tents are best for 2 adults and their gear. The Ajax 3 is very spacious compared to other 3-person capacity tents and has decent headroom as well. It doesn’t have a claustrophobic feeling and the added space combined with dual vestibules means there are plenty of options for storing gear. Having dual doors and equally sized dual vestibules covering them really makes the Ajax 3 a pleasant tent to camp in. When a tent is expected to shelter more than one person, having double doors is a real treat, primarily because it allows for one person to easily exit the tent without having to climb over their partner. The double vestibules allow each person (if camping with two individuals) to have their own space for their gear. Additionally, these double vestibule help keep out rain when entering or exiting the tent. While researching the Ajax 3, there are some lower rated reviews by customers that have found flaws in its design. The two recurring complaints about this otherwise nicely made tent can be summed up below. The first issue of the Ajax 3 is that some find that it isn’t quite sturdier enough on its own with the stakes provided by Marmot. 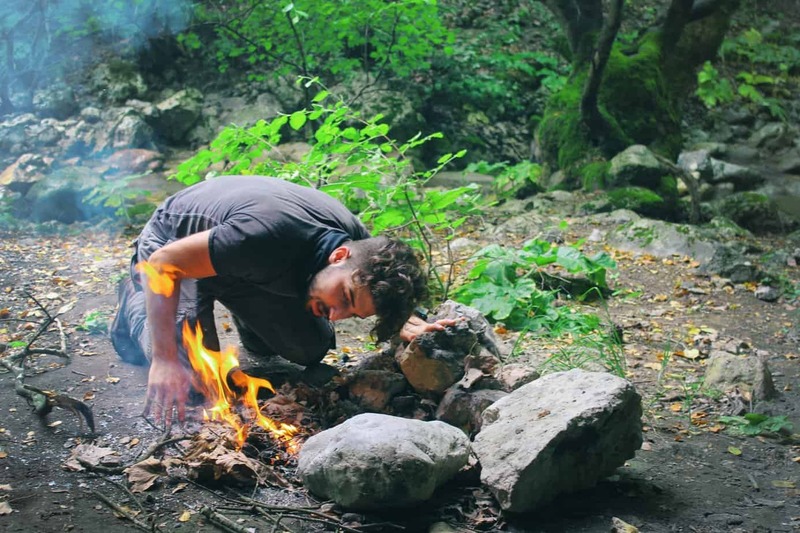 Camping in high-winds warrants the use of sturdier stakes, which you’ll have to provide yourself. This isn’t too much of a hassle, especially if you’re a gear hound and already have stakes, but is something to be aware of. Others find that the Ajax 3 can handle winds very well, but the tent does benefit from adding extra tie out points to help hold up the sides as well as get the maximum space possible from the modest vestibules. The Ajax 3 does have a catenary cut floor with taped seams and even waterproof window construction, but the odd individual might still find it to not be the most suitable model in a heavy downpour that lasts for hours. The Ajax 3 doesn’t come with its own footprint so you will need to purchase this separately. Customers that have experienced leaks can often combat it with adding a footprint of some type, even a tarp, and bolstering the sides of the tent using it. The Ajax 3 isn’t designed to be a highly technical tent so it is acceptable that it might not handle extreme rain, but again, this is something you may want to keep in mind if you do tend to camp in that type of weather or in a climate that is excessively wet. Although the Ajax 3 isn’t a perfect tent, it is still one that consistently rates at around 4.5 out of 5 stars. The only real issue with the Ajax 3 is that it is no longer in production, which means finding a retailer can be tricky. You may find this model on Sierra Trading Post and similar websites still or considering scouring auction sites like eBay. That being said since Marmot is no longer producing this tent you can often find this model at a very reasonable price. The Ajax 3 originally retailed for $259, but can now be found on discount for as much as 30% off ($179.99). If you happen to stumble across the Ajax 3 for such a price it will be a real steal and chances are you’ll be very happy with your purchase.